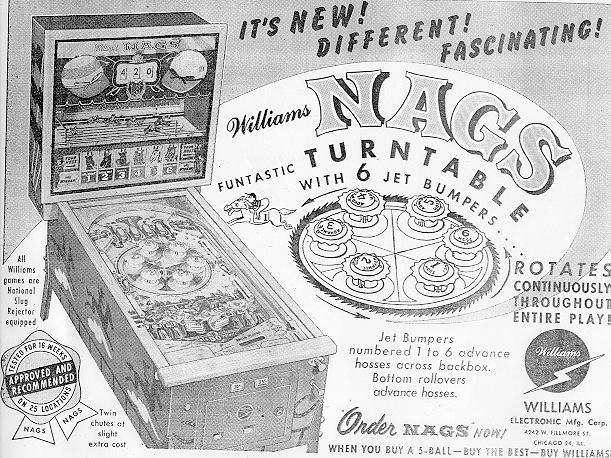 Description: Nags, Williams, 4/60, one player, pinball game with mechanical horse running unit and a pop bumper playfield turntable. 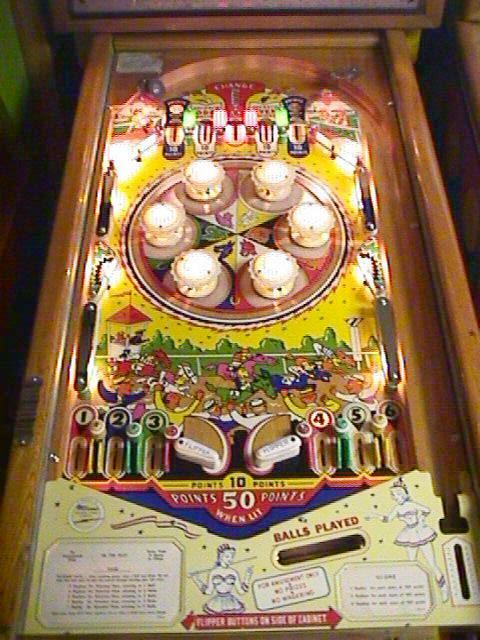 Probably Williams' best horse race game because of the backbox mechanical horses, the rotating pop bumper turn table, and the use of score reels. The last woodrail "horsey" game from Williams. 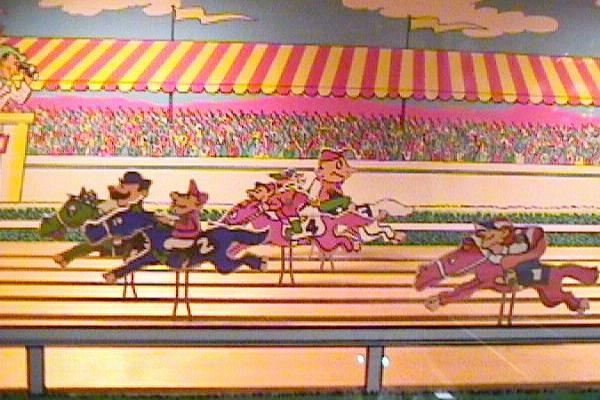 Other Williams Horsey pinball games include Turf Champ and Daffy Derby and Hayburners. 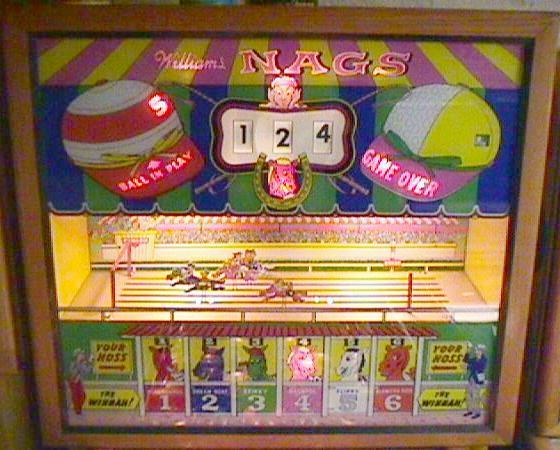 Nags score card graphics are available for download here.